While I've been using various Google products for a number of years (including this fine blogging platform! ), in recent times things have gotten serious! Here in the ACT, Google Apps for Education has really taken off. There has been a lot of work behind the scenes to make sure it works well and won't upset anyone (and my colleague has been absolutely instrumental in that process), but now that it is up and running, the public schools here in Canberra are really going for it. Yay! I hope I'll be able to tell some of their stories some time. 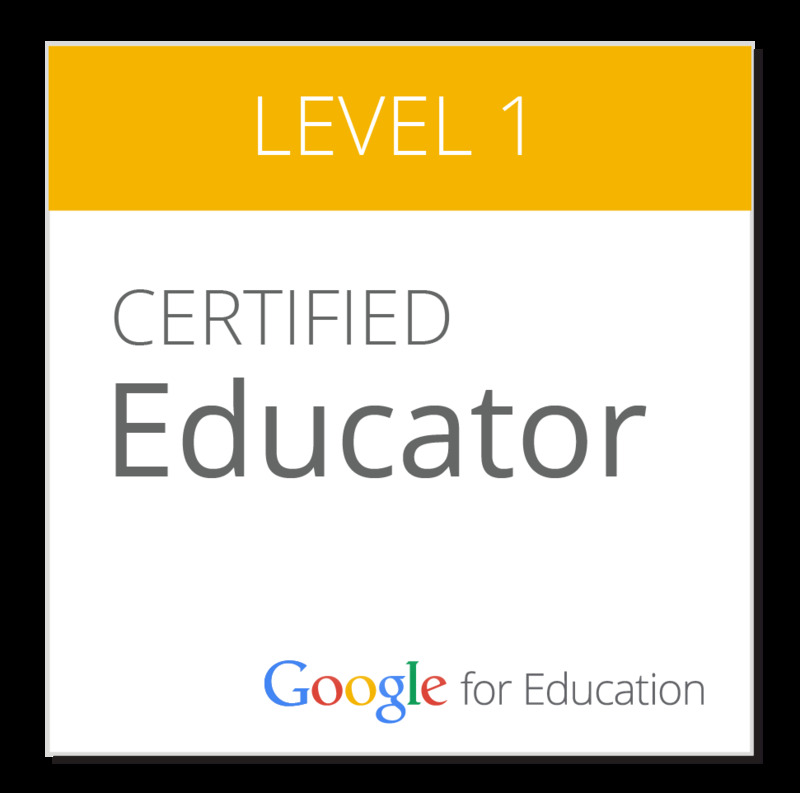 Of course when I realised the potential that Google has to enable amazing teaching and learning experiences, I wanted to learn more. So I decided to do some training. Now as I've already mentioned, I think that being able to find good Professional Development resources is an important skill. Luckily, with a product like Google, that's actually not difficult. 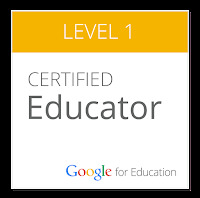 Because I used the Google For Education Training Centre. For me, the training centre provides the perfect kind of professional development. Well-constructed, thorough, self-paced and relevant. 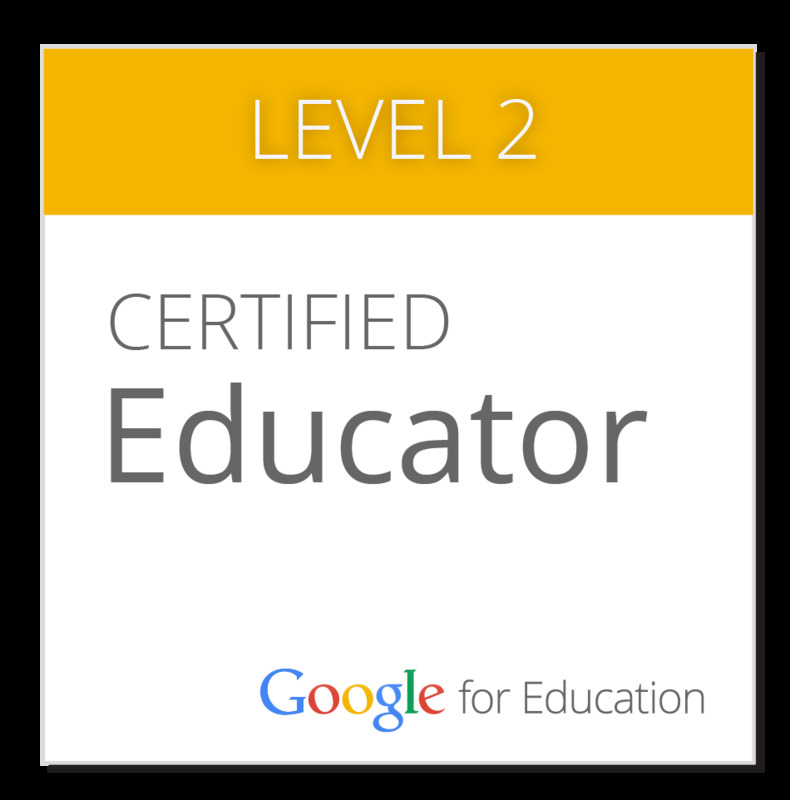 I worked my way through the two Educator training programs, and was really impressed with the way that the materials were constructed; but also the focus on quality teaching and learning with Google tools, not just the tools in isolation. For example, one of the modules is all about YouTube. There are some great resources around finding, creating and sharing content to YouTube, but there are also lots of tips and tricks about the best ways to use video to engage students and make the learning mean something. The Training Centre will help you find cool playlists like this one. I also love that they've included other content that might not necessarily relate directly to the tools, like the Digital Citizenship module, or the exploration of different learning models like blended and flipped learning. The other thing I like is the rigour. Everything is covered, and everything is tested. To 'pass' this training and receive certification, you have to pass a comprehensive exam. I'm not normally a big fan of exams or testing, but this one combines typical multiple-choice questions with specific scenarios that require you to actually demonstrate what you've learned about Google tools. As someone that has despaired about the disconnect between ICT tools training and their value in the classroom, this training resource ticks all the boxes for me. I guess I don't need to say that I passed. 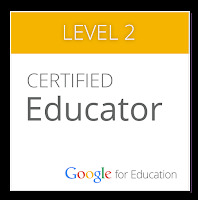 So now I'm a Google Certified Educator. I'm happy about that. Now on to the next level!